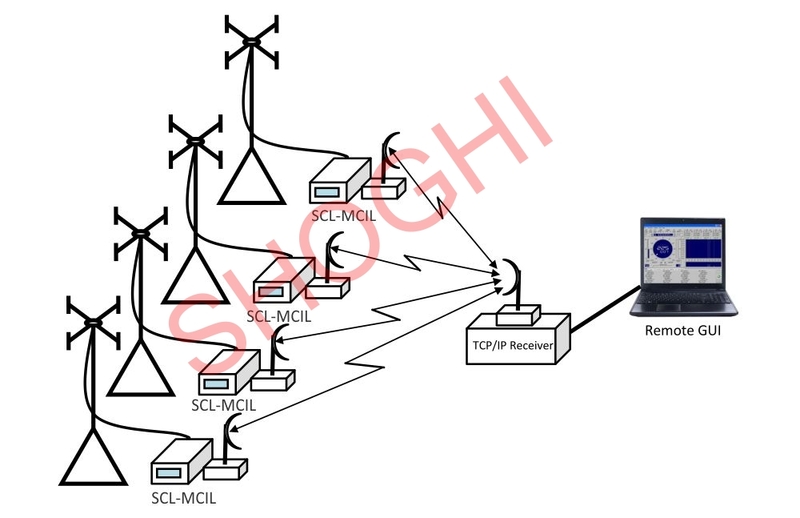 Shoghi Wideband Direction finding is inherently built into the both the Wideband Search and Intercept Receiver as well as the Multi-Channel Interception and Logging system receiver when they are connected to respective Direction Finding Antennas in HF and VHF/UHF bands. 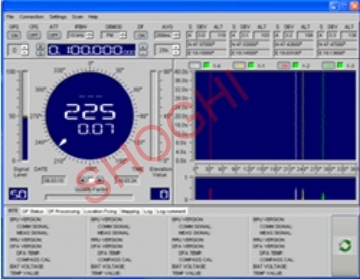 The bearing of the radio intercept is provided with respect to the respective monitoring station is provided in the operator interface. 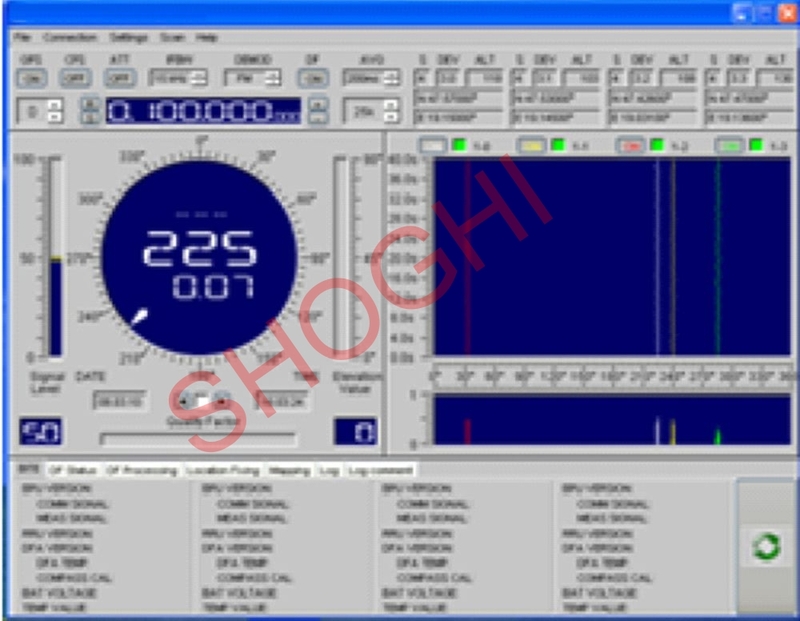 The Shoghi Wideband Direction Finder is a specialist software application which is installed on a workstation in a central station which could be a Control Centre or one of the stations functioning as a Master DF Station. 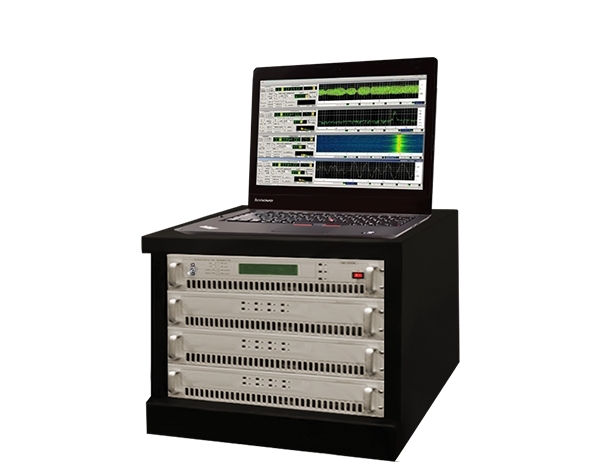 This DF software application can be connected to maximum of four Monitoring and DF stations through a WAN data link on terrestrial radio, VSAT or cable. 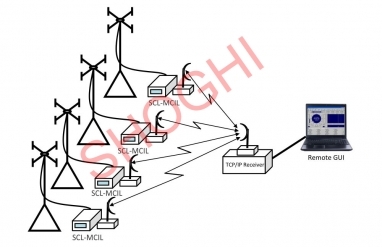 The DF software application receieves the DF bearings of an RF transmission from a target radio emitter obtained from more than one of the four different Monitoring and DF receiver stations. This DF software application carries out the triangulation process to provide the location fixing for identification of location of target radio emitters on a digital map in an operational environment. The software is able to work with third party map visualization software like MapInfo to display line of bearing from respective Monitoring and DF stations GPS based locations which are plotted on the digital map integrated with MapInfo enabling the pinpointing of the location of the target emitters on their respective frequencies. The Direction Finder is a software application which is optionally provided for customers who wish to have the Location fixing or location determination facility incorporated into their HF or VHF/UHF Monitoring and DF system. This DF software is installation on a DF workstation which can be co-located at one of the monitoring and DF receiver stations working as a Master DF station or installed separately at a central HQ location. All the Monitoring and DF stations need to be connected to the DF workstation through a WAN link either on terrestrial radio, VSAT or cable based links. The DF bearing is obtained in the SCL-MCIL for respective transmissions which is transmitted to the central DF workstation. The DF software application works in tandem with a map visualization software like MapInfo which incorporates suitable location maps of the area of operations and when the DF workstation receives these bearings it plots a line on the digital map of the area from the location of the Monitoring and DF station which is plotted on the map based on the GPS location obtained from the concerned station. When the same RF transmission is received in more than one Monitoring and DF station, these lines are plotted from each station location on the map and their triangulation can help in identifying the location of the radio emitter station on the map which can provide operational intelligence in a combat scenario.